If you’re looking for reliable insulation contractors to make your home in White House, Tennessee, more energy efficient, turn to the experts at 31-W Insulation. We have more than 40 years of experience providing homeowners with the insulation solutions they’re looking for. We can help you, too, with all of your insulation needs. Batt and roll – Made of recycled glass or sand that’s been spun into a fiber, this type of insulation comes in rolls and can be cut to exact shape of the space that needs to be filled. 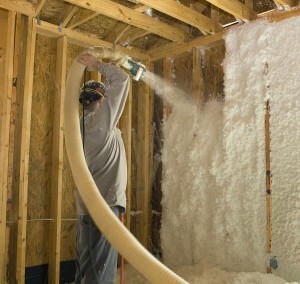 Spray foam insulation – This insulation is made of polyurethane that doesn’t degrade or settle over time. It is sprayed onto surfaces, sealing the smallest nooks and crannies to prevent air leaks. Our insulation contractors work carefully and efficiently to install whichever type of insulation you choose in your home. And because our installers pay close attention to all of the details, your new insulation will be effective and durable so that you can enjoy the benefits of a more energy efficient home for years to come. To learn more about what our insulation contractors can do for your White House, TN, home, contact 31-W Insulation today.